Loving DealDash is great, why not share it with a friend? You can share in many ways! Read on for more information from DealDash. If you love DealDash enough to be reading the DealDash Blog, then shouldn’t you share with your friends and family? There are so many things to see and do and learn about when you use DealDash. Since you are spending so much time on DealDash, why not let your friends and family in on the secret of the best bidding site around? 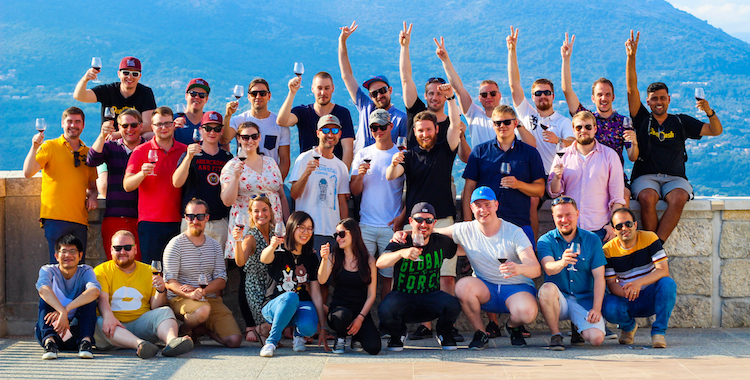 Why Should Your Friends Join DealDash? There are quite a few valid reasons why your friends and family might want to join DealDash. Obviously, the best reason for your friends and family to try DealDash is the fact that you enjoy it so much! However, there are so many other reasons. Hot Fashion – new moto jackets just arrived! Most families buy their household supplies, garden items, kid’s toys, and beauty items at the mall or a big box store. Wouldn’t you love to be able to tell them that they can stay home and shop, and even save money while doing it? It’s so helpful to be able to save money on everyday purchases that they were going to make anyway. Save your family and friends some money when you introduce them to DealDash. You can also let them know that they won’t be alone when they’re bidding in the auctions. No, you won’t be participating with them – that’s against DealDash rules! However, they will have a buddy with them – the BidBuddy, of course! You can tell your friends that the BidBuddy is available to every bidder, free of charge, on every auction that they participate in. They won’t need to download anything extra or purchase anything special to use the BidBuddy. Simply tell them how easy the BidBuddy is to use. After opening up an auction that interests them, in the middle of the screen, they will see a space and a button that says “Book a Bid Buddy”. Tell them to click on the space that says “add bids here” and put in the number of bids that they are willing to spend on this particular DealDash auction. Then hit enter. Share the DealDash page on your FaceBook account. The DealDash FaceBook page is located right here. Tweet about DealDash to your followers at this link right here. I hope this article on inviting your family and friends to join DealDash has been helpful. If they are excited about DealDash and want to join, please also tell them about the blog! We always try to help the bidders and give out information that we find helpful. Have a great time on DealDash, and happy Bidding, everyone! What’s Your Favorite Part of DealDash? There are a lot of things to love about DealDash. Let’s talk about the best ones. There are a lot of things that make DealDash very special – a cut above the rest. Having so many wonderful attributes sometimes makes it a little tricky to pick the very best one. What are your favorite things about DealDash? Please feel free to comment down below. Here are some of my favorite things about DealDash. Contrary to popular belief, you CAN get something for nothing! Free bids. That’s right 100%, totally free bids, a present from DealDash to you. There are different ways to get these free bids, and the easiest way is to just sign-in to DealDash every day. Seriously, it’s that easy. Just go to this link right here every single day, place one bid, and DealDash will credit you with free bids. The more days in a row that you show up, the more free bids that you will receive. After you have downloaded and installed the DealDash app try it out! I couldn’t make a favorites list without including the BidBuddy! The BidBuddy is an automated bidder that DealDash offers to every bidder for free. The BidBuddy is one of those great things about DealDash that you aren’t going to be able to get anywhere else. Simply choose the amount of bids that you would like to spend on an auction and click “Book a BidBuddy” and you’re all set! I hope that you found this new DealDash article on my favorite things about DealDash helpful. We all have our favorite DealDash features, what are yours? If you are shopping for anything from a baby crib to a toolset, check DealDash first. DealDash has it all! Visit DealDash now. DealDash wants to make your home more beautiful. Good luck and happy bidding everyone! There are a few simple ways to know if the online business you are looking at is legitimate or just a scam. Here are a few. According to the Better Business Bureau, DealDash, Inc. has received 4.91 out of 5 stars based on 194 Customer Reviews and a BBB Rating of A+. If you are a skeptical sort of person, feel free to check out DealDash’s Better Business Bureau page at this link right here and you can see all of the information. Clear, Honest, and Transparent all the way. Another way to tell if an online business is legitimate is to explore a little and see if the business in question has an actual physical address and phone number available that you can verify. If you’re interested, DealDash has both. DealDash’s official phone number is (855) 455-3325 and their official address is 150 S 5th St STE 1340, Minneapolis, MN 55402. The final way that we will talk about legit online businesses today is…Does the company in question have the standard stock photo of the 20-something receptionist with the headset on as their “employee” picture, or do they have real and genuine employee photos available to see? As far as DealDash is concerned…I’ll let this picture speak for itself. There are also other photos available online if you click this link right here. Going on DealDash and seeing all of the auctions is one of the best parts of my day. DealDash is fun to visit even if you aren’t planning on bidding. One of the most fun things on DealDash that doesn’t include bidding and winning is looking at the list of winners! I could spend hours just scrolling down the list of winners. I love seeing what everyone has won, how much the final auction value was, and what time of day they won. It’s amazing some of the deals that people get everyday on DealDash. It may just sound like an idle hobby of mine, but it’s just undercover research disguised as fun! If you pay attention to what type of products that people are winning, what time of day, and what the final price of the auction is then it will help you in the future. For example, if you are a regular “watcher” of the Winner’s Tab on DealDash, and you notice that baby products always seem to be a steal at under $1 final auction value on Tuesdays, well it would just be smart thinking to wait until the following Tuesday to see if the baby products are going for a song. If they are going fast and cheap, well get in there and bid! Another fun thing that DealDash provides for us is DealDash’s various social media accounts. DealDash is on all of the most common social media platforms; Facebook, Pinterest, Twitter, and Google+. Not only can you enjoy great content such as seeing who won the photo of the week contest, you can even nab some free bids for yourself. You can earn free bids by posting pictures to different the social media outlets. 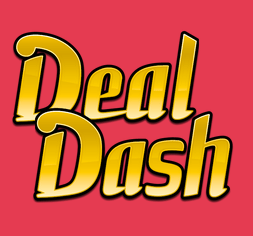 Getting free bids from DealDash’s social media accounts is easy! If you’re interested in learning about all of the different ways that you can earn free bids from DealDash by posting to social media just check out this link – On Social Media? Get FREE Bids With DealDash. I hope that this article gave you some ideas about how to have more fun with our favorite website, DealDash! If you’re interested in reading some tips and tricks check out the “Tactics & Tips” section on DealDash. DealDash wants everyone to win big. Do your research and you will be winning in no time. Good luck and happy bidding everyone!